CORONA, CA -- CIRCOR Aerospace Products Group, a CIRCOR International company (NYSE: CIR), has appointed Pritesh Patel as the Director of Information Technology for the CIRCOR Aerospace Products Group. Pritesh brings extensive business and system integration experience to this role and will report to CIRCOR Aerospace Group Vice President Christopher Celtruda. He will also represent the aerospace group on the CIRCOR International Information Technology leadership team. Pritesh will have full responsibility for CIRCOR Aerospace implementation of Information System processes, infrastructure and improvements, and overall IT management across the North American, Asian, European and North African aerospace businesses. He will oversee site level staff and change initiatives, partner with Continuous Improvement personnel and programs driving the annual Strategy Deployment process. Pritesh will be actively engaged in the development and execution of group technology strategy and change efforts. In his career, Pritesh has spent over 15 years in the IT sector with OK International, Timken Corporation and Boeing. He brings extensive experience in strategic guidance, risk management, infrastructure and system integration and implementation, resulting from his career assignments in electronics and industrial product manufacturing. 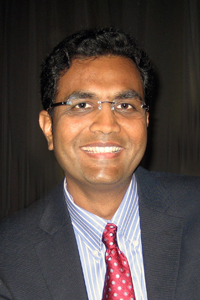 Pritesh joins CIRCOR from OK International, Inc., where he was the Director of Information Technology for a soldering tools and equipment manufacturer in Dover Corporation’s $1.4B electronic technology division. Pritesh has earned a Bachelor of Science degree in Business Administration from California State University, Long Beach. He will be based in Corona, California and is expected to travel extensively to ensure that CIRCOR continuous improvement and strategic IT deployment goals are achieved. “Pritesh will be a great addition to our team, and allows CIRCOR Aerospace to continue along our progressive growth path,” noted Christopher Celtruda, CIRCOR Aerospace Group Vice President.